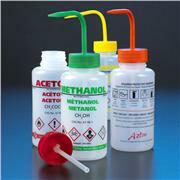 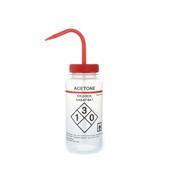 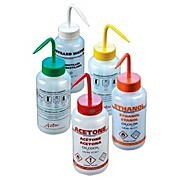 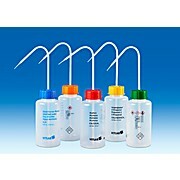 …drips; allows dispensing of wash bottle in an upright or inverted position Wide mouth 53mm (2") bottle for easy refilling Translucent LDPE bottles Color-coded polypropylene closures aid in quick and easy identification * Toluene and Methyl Ethyl Ketone are not vented. 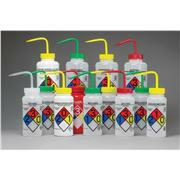 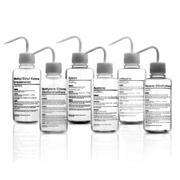 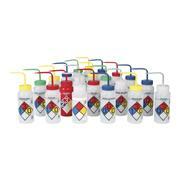 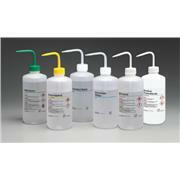 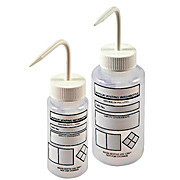 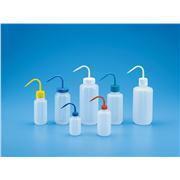 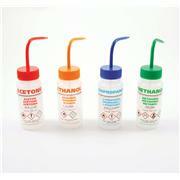 …service ALERT: Hand wash LDPE wash bottles with mild, non-abrasive detergent. 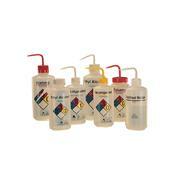 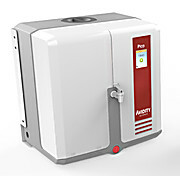 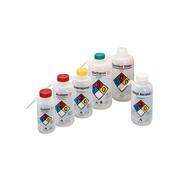 Follow with a rinse in tap water and final rinse in distilled or deionized water. 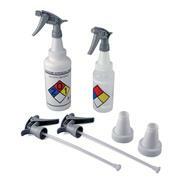 To avoid scratching the plastic or printing, do not use abrasive cleaners or scouring pads. 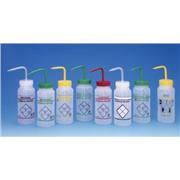 Do NOT autoclave LDPE wash bottles. 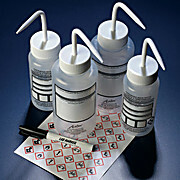 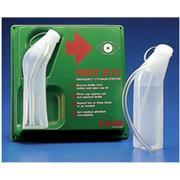 Linerless, leak-proof closure with integral seal ring; for uniform fluid dispensing, non-vented color caps.